El Dorado mask is from Gypsy Renaissance's Magic & Myth collection. 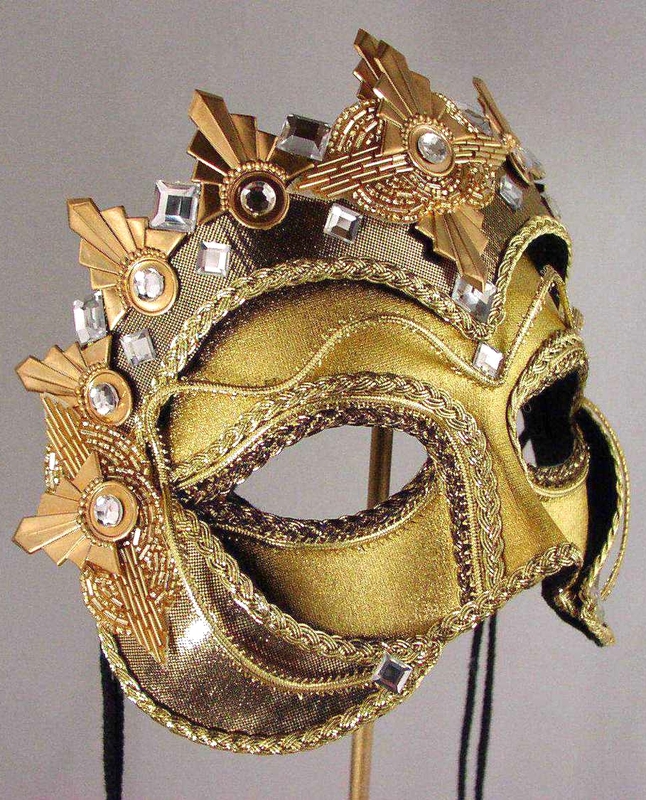 El Dorado is a metallic gold mask with golden crown, brass findings, and rhinestones. El Dorado mask is covered with metallic gold fabric and trimmed with metallic gold braiding. Mask is adorned with a gold crown covered with liquid gold fabric. The crown is embellished with brass medallions, gold glass beaded appliqués, and crystal rhinestones.